When you call 281-704-3696 today, you’ll find professional Montgomery AC repair, installation and replacement services that always get results. Save money with exciting online coupons and specials when you click here now. Suffering through an air conditioning break down during a Texas summer just isn’t acceptable for most people. Not only does the trapped heat make it difficult to sleep, but it can be dangerous for children, the elderly or those with respiratory issues. If your AC breaks down when you need it the most, finding a quality service provider becomes a top priority. Want to know why your neighbors in Montgomery, TX prefer our cooling services? Click here for online reviews. As your AC system hums along keeping your home cool and comfortable in the Texas heat, the filter inside the unit is becoming increasingly dirty. It is there to catch airborne contaminants so they don’t get into the air ducts and ultimately your living space. If you leave your filter in for too long – usually more than three months – it can get clogged and cause your air conditioner to work harder. When the AC works harder, your bills will increase because it requires greater output to reach the temperature you’ve set on your thermostat. Trying to install your air conditioning system on your own can backfire in several different ways. You will likely install at least one component incorrectly, which will affect the unit’s performance and may cause safety issues. If it is installed improperly, you may be losing cool air every time the unit is running. There’s also a chance you could be violating your local building code, and your warranty may be in jeopardy down the road. Ductless mini split AC systems don’t require traditional ductwork to function, and they offer benefits beyond the scope of a standard forced air system. With a ductless system, you can cool some rooms without having to cool all of them. This feature allows many homeowners to save money, because there is far less output required to keep everyone in the house comfortable. A regular system will try to cool the entire house, including rooms that are rarely occupied, which can lead to energy waste. 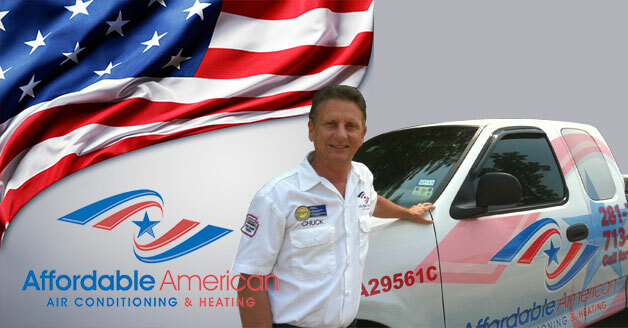 If the AC in your Montgomery, TX home is in need of repair or replacement, call Affordable American Air Conditioning & Heating at 281-704-3696 and we will set up an appointment to get the process started. There’s no need to sweat with the windows open if you don’t have to, so call today.